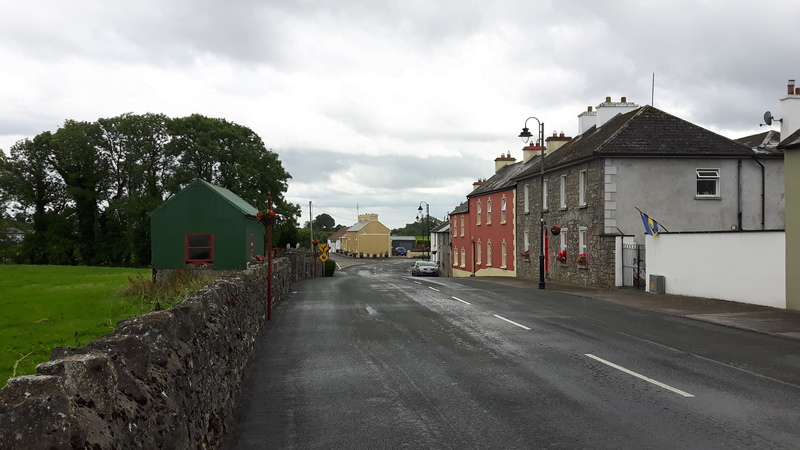 The Rural and Regional strand of Project Ireland 2040 was launched in Westport last Friday (13 July 2018) at a Forum held in the Town Hall Theatre. 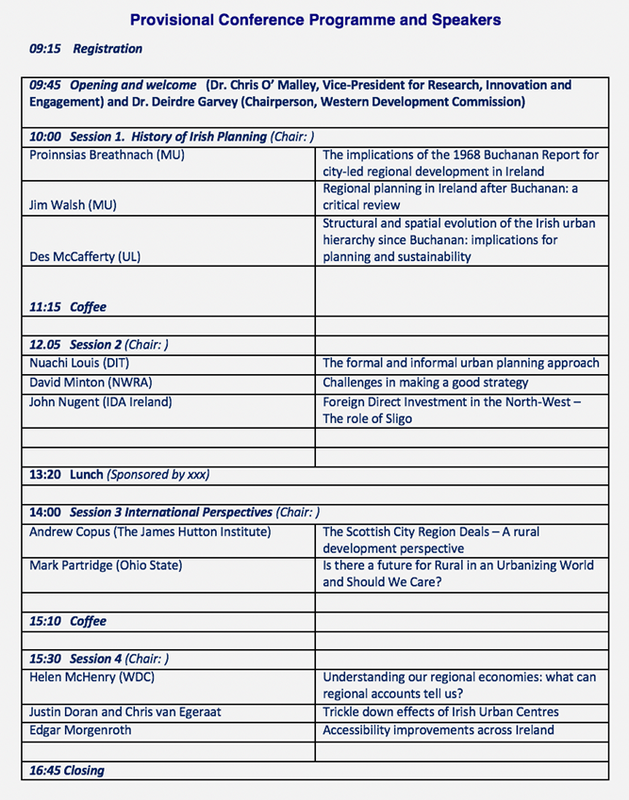 The focus was on the National Strategic Outcome 3 in Project Ireland 2040 ‘Strengthened Rural Economies and Communities’. The Forum, themed “Creating Stronger Rural Economies and Communities”, was co-hosted by the Department of Rural and Community Development and the Department of Agriculture, Food and the Marine, and featured panel discussions and a keynote address from An Taoiseach . The Minister for Agriculture, Food and the Marine, Michael Creed T.D. also spoke at the event as did Minister for Rural and Community Development Michael Ring T.D. Minister of State Sean Kyne T.D. was also in attendance and participated in the event. The speeches highlighted the recently launched €1 billion Regeneration & Development Fund which was a key commitment in Project Ireland 2040. The Fund is to support collaborative, innovative and transformative projects across both public and private sector bodies and successful projects will leverage additional funding to maximise their impact in communities. The Forum was structured around two panel discussions on the themes of creating stronger rural communities and creating stronger rural economies. The first “How do we create stronger rural communities?” included An Taoiseach Leo Vardakar on the Panel along with Minister for Rural and Community Development Michael Ring T.D. Also on the panel were Dr Maura Farrell from NUI Galway and the designated researcher for the National Rural Network (NRN), Ms Anna Marie Delaney the Chief Executive of Offaly County Council and Ms Irene Kavanagh from Kerry Social Farming. 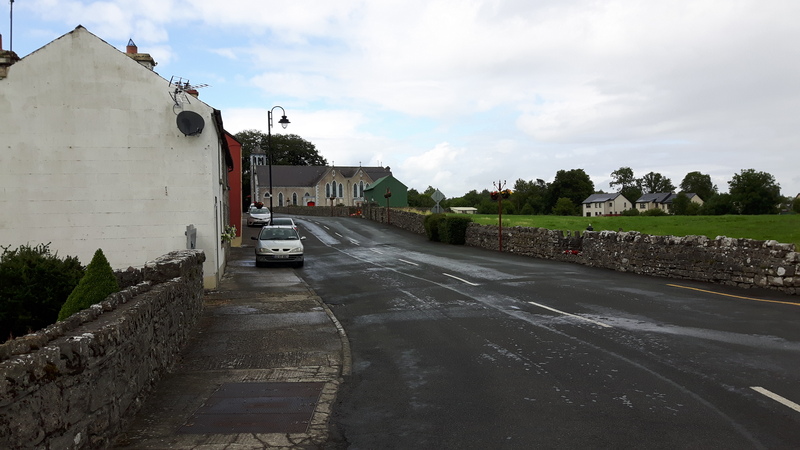 The discussion was largely focussed on the farm family and farm diversification although Minister Ring also stressed the significant investments made under the Town and Village Renewal scheme and the benefits of investment in Digital and Food Hubs in rural towns under that Programme. The second Panel discussion “How do we create stronger rural economies?” was preceded by a short presentation from Minister of State Sean Kyne T.D. and the panel members were three rural entrepreneurs. Mr Colman Keohane from Keohane Seafoods in Co Cork, Ms Evelyn O’Toole founder and CEO of CLS in Co. Galway and Ms Natalie Keane, from Bean and Goose , artisan chocolate company from Co. Wexford. The panel also included Enterprise Ireland’s Manager for Regions & Entrepreneurship, Mark Christal. 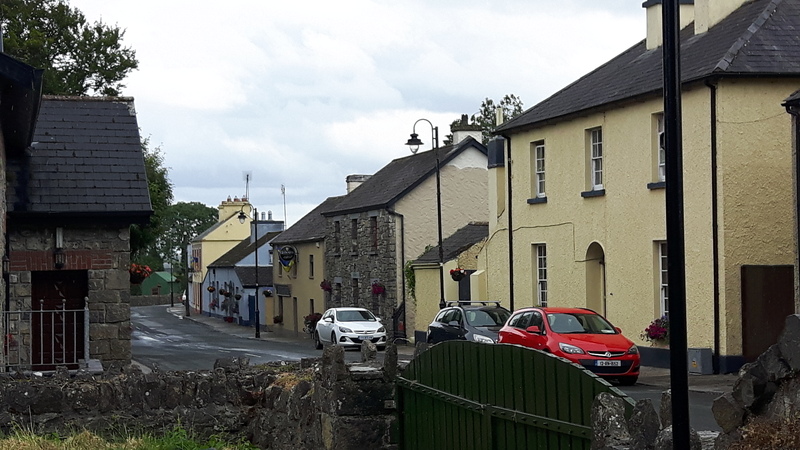 The entrepreneurs told stories of their business set up and development and there was lively discussion of the positives and negatives for small business in rural Ireland. The Minister for Agriculture, Food and the Marine, Michael Creed T.D. closed the Forum with thoughtful comments on the need to reimagine a rural Ireland that is fit for purpose today. He noted that for rural Ireland to thrive it needs young people and they will want good quality of life, good jobs and connectivity in order to remain in rural Ireland. He emphasised that, in thinking of the future for rural Ireland the focus should not just be on what worked before. 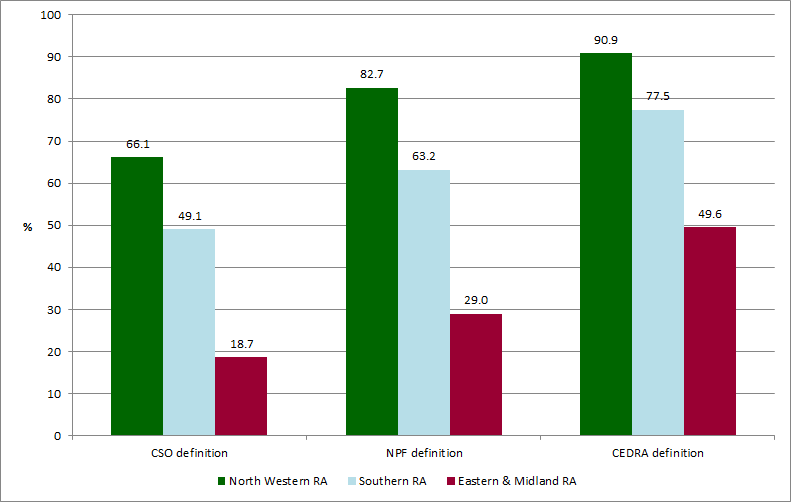 We need to consider the current context and develop a rural Ireland that works for now. Attendees also received a publication “Strengthening Rural Economies and Communities’ which includes descriptions of schemes and policies which impact on rural Ireland and a number of case studies of businesses, farms and communities which have benefited from the schemes. The WDC has recently published an analysis study of opportunities for the development of the renewable heat sector in the Western Region. 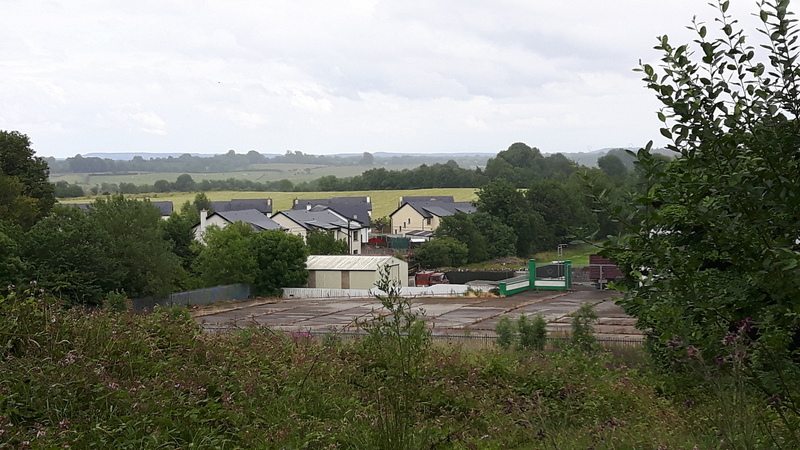 The study ‘A Regional Renewa ble Energy Analysis: Using Biomass to Contribute to the National Renewable Heat Target’ was under taken as the Western Development Commission (WDC), along with SEAI, were tasked under the Action Plan for Jobs: West Region 2015 – 2017 (Action 134 ) to undertake a “Regional renewable energy analysis on the use of biomass as a local contribution to the national renewable heat target and develop a range of actions to support the development of renewable energy in the region”. 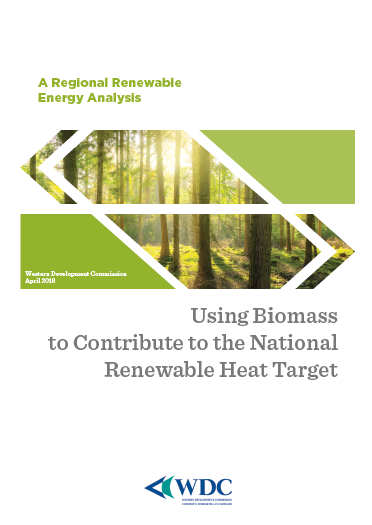 The study considers the use of biomass use in the WDC region (Donegal, Sligo, Leitrim, Roscommon, Mayo, Galway and Clare), along with an assessment of the potential contribution to the national renewable heat target. The analysis focused on ‘solid biomass’ – that is forest derived wood fuels used for energy production. The use of biomass for heat generation is likely to have the greatest potential for the Western Region in the immediate future in achieving the renewables heat target and reducing carbon emissions. An EU 2020 target of 16% renewable energy is to be achieved by 2020 across the electricity, transport and heat (and cooling) sectors in all member states. Ireland is one of only four countries in Europe expected to miss its renewable energy target. Heat is the largest of these three sectors, and Ireland has a target of 12% of final heating demand be derived from renewable sources by 2020. Between September and December 2017, the survey of biomass deployment in the WDC region was undertaken which found seven large industrial biomass schemes using 110,000 tonnes of wood fuels a year. The installed capacity of these schemes ranges from 2,000kW to 22,000kW (31.2 Kilotonne of Oil Equivalent (ktoe)). The survey also found 43 smaller non-domestic biomass installations with installed capacities ranging from 50kW to 550kW. Only 24 of these are known to be operational, representing 6,600kW of installed capacity using 6,269 tonnes of wood fuel a year (1.74 ktoe). In the WDC region, total biomass deployment is equal to 32.94 ktoe. 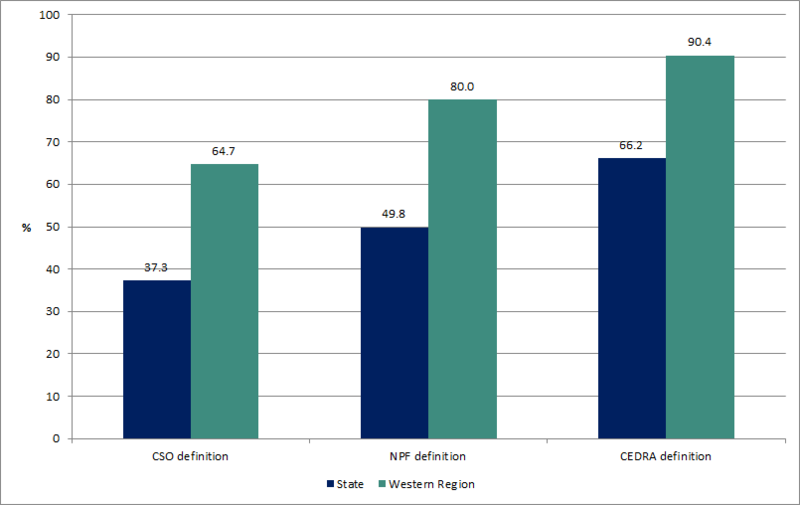 This represents 8.1% of the Western Region heat market. Taking into account the already installed biomass, this means 7.78 ktoe of new biomass deployment is needed by 2020 to achieve a target of 12% renewable heat for the Region. This would require €35 million of capital investment and would create 70 new full time jobs and save 28,000 tonnes of CO2. As the potential total market is estimated to be 275MW, suggesting that 35MW of new capacity is a viable aspiration. The WDC proposed 2018 – 2020 Action Programme, which is part of this report, considers how some of these barriers can be overcome and the growth of biomass could be achieved in the Western Region. There is a modest percentage of non-solid biomass used to generate renewable energy, and this has been commented upon in the report where appropriate. https://www.wdc.ie/wp-content/uploads/wood-strat-image.png 240 644 WDC https://www.wdc.ie/wp-content/uploads/wdc-567.png WDC2018-05-21 10:35:042018-05-21 10:35:04How can we develop renewable heat use in the Western Region?